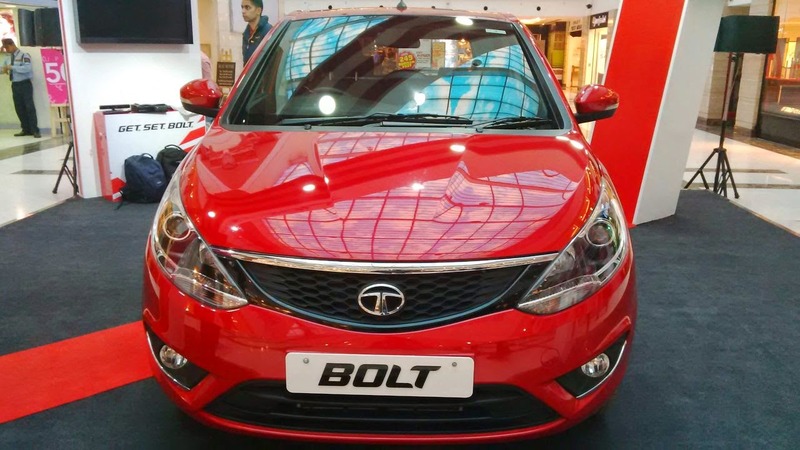 Hubby dear and I have been engaging in a lot of debate lately.It is about which new car are we going to buy next .Out of the blue a (thunder)BOLT stuck me.Well not literally , actually I got an opportunity to have a look at TATA motors new launch "The BOLT "and I was smashed . 1. Safer Drive-what I liked most was the additional airbag provided for the co-passenger besides the standard airbag for the driver .Since I generally drive with kids , the other added safety feature which I found highly useful was the speed dependent auto door lock , so even if we forget to lock the doors , they will lock automatically at high speeds. Also smartphone enabled navigation is an additional useful feature in unchartered territories. The LED Stop lamps are mounted higher to ensure a better vision through a longer distance . 2. Smoother,comfortable drive - The new Bolt ensures that rides are smoother and more comfortable ,it has adjustable front and rear headsets and driver seat height adjustment which is a boon for vertically challenged drivers like me who have to continually shuffle and peek while driving .The cup holder is provided in the front console so again I do not have to bend low to reach out for my glass of juice while driving .the body hugging rugby seats are so comfortable and also add additional support to the spine during long drives. 3. Multi Drive facility - We love to on long drives and out of city tours in our car , but our regular car though giving us good mileage in the city does not give us the power and rev to drive on highways and rough hilly terrains , so we have to take a different car for such tours . Now we need not take the pain , one single car can deliver the same raw power and when needed can turn into an economy car. 4.World class infotainment - It has ConnectNext touchscreen infotainment which gives access to AM/FM ,USG,iPOD , Bluetooth connectivity and best of all the audio and phone controls are mounted upon the steering . 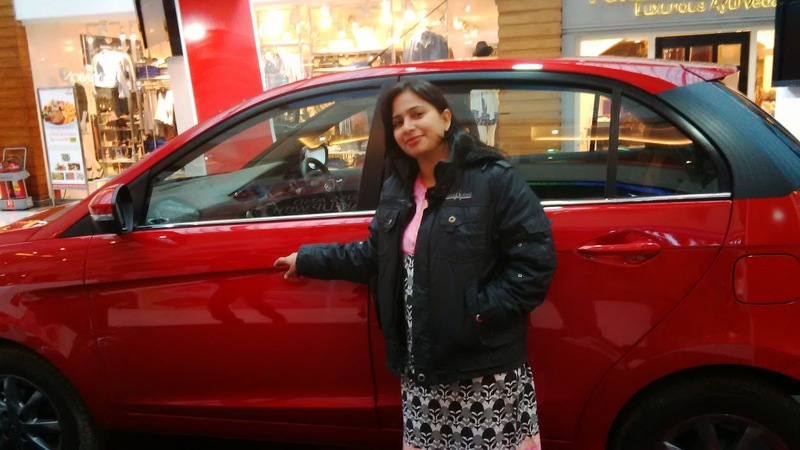 5.Sleek Design - Being a beauty blogger, I was sold on its sleek design the moment I set my eyes on the Bolt .The flame shaped rear lamps ,dual toned front and rear bumpers and floating roofs had me completely bowled over .It is a stylish car , no doubt about it .I also loved this particular color a lot . 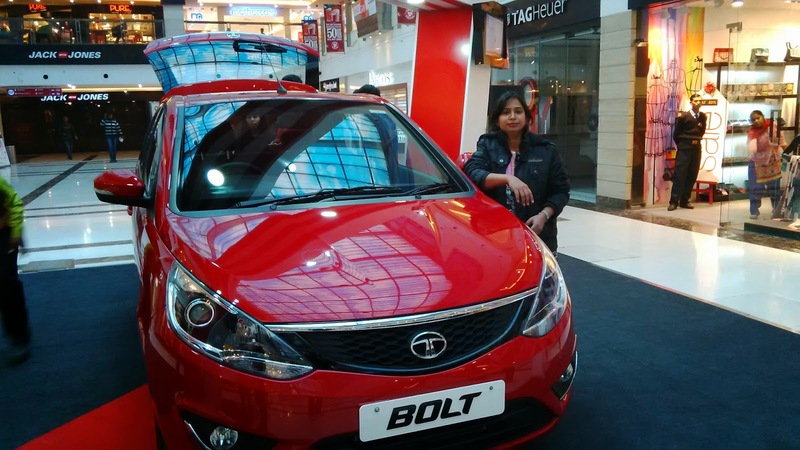 I could go on raving about the snazzy Java black interiors ,the chrome accents , the electric power assisted (ePAS) steering and risk sounding like a walking encyclopedia of the Bolt or I can just sum it up and say that I was "Sold on the Bolt " . I guess it definitely deserves a test drive and I am sure that you too would return wide eyed like me because you too would be struck by the Bolt ! 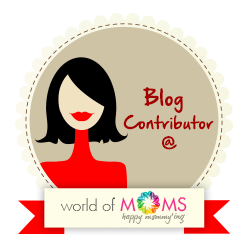 "This post is a part of the Get. Set. Bolt. 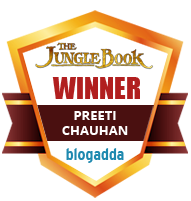 activity at BlogAdda ".